A typical day? I haven’t had a typical day in, well in forever. 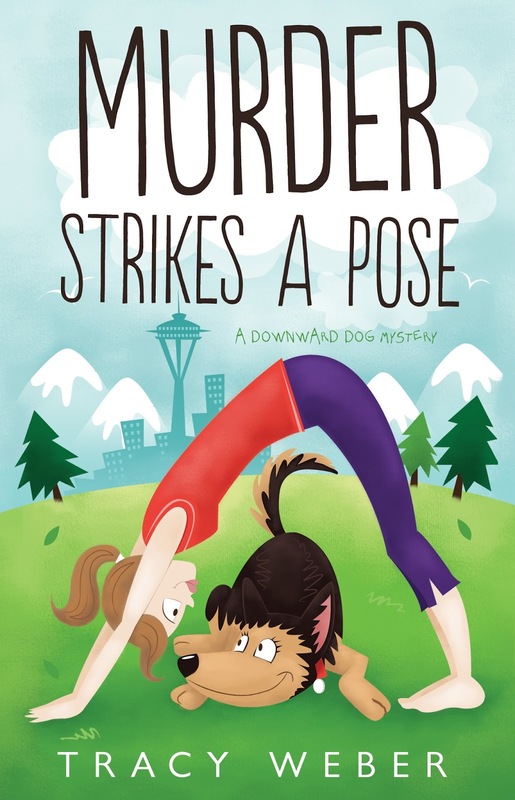 What on earth is a typical day when you own a yoga studio, your friend was murdered, and you’re trying to find a new home for a horse-sized monster dog? · Flirt with Michael (the cute owner of Pete’s Pets). Don’t get close enough to touch his beard. See what I mean? What’s typical about any of that? Don’t get me wrong. I love my life. Well, most of the time. Sure, money is tight, but business at Serenity Yoga will take off any day now, and what I lack in money, I make up for in satisfaction. Teaching yoga changes lives. Nothing is more rewarding than helping my students find inner peace. Maybe I’ll even find it myself someday. Sorry, I don’t like to think about that. But now that George is gone, what am I supposed to do about Bella? George loved that crazy German shepherd. He took better care of her than he did of himself. I don’t want a dog. I can’t have a dog. But I’m all Bella’s got. I can’t let her end up in the pound, not with her personality. She wouldn’t last a day there. Hey, you look like a nice person. Do you want a dog? Bella’s not so bad, once you get to know her. She just hates other dogs. And probably cats. And men. Well, not all men, only some, but good luck figuring out which man she hates before she goes after him. Why do you have that look on your face? Really, Bella’s a great dog, no matter what all the rescues I’ve contacted say. I’m sure all she needs is a little training, and her medicine only costs a few hundred dollars a month. 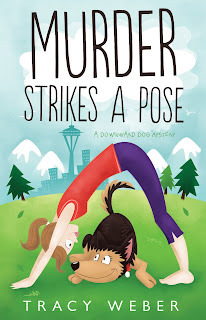 Murder Strikes A Pose sounds like a great read, and I have it on my TBR list. The cover art is adorable. Thanks, Jen! I love my cover artist! I hope you enjoy the book! Your covers on your books are eye-catching. They standout on the shelf and invite people to pick up a copy. I love the fact you include a shepherd on the front of the book so other's know there is a dog included too. Great way to attract readers. You are so clever!